Ralph J. Gerson serves as a Board Member and Senior Adviser to Guardian Industries Corp. From 1990 until 2011 Mr. Gerson served as Executive Vice President of Guardian and President of Guardian International Corp. Mr. Gerson is also a Board member, Executive Committee member, and Chair of the Investment Committee of the William Davidson Foundation. Guardian is in the forefront of developing coating technology for energy-efficient glass. The company manufacturers float glass and a wide range of fabricated glass products for the commercial and residential construction industries. The company is also a leading supplier of vehicle glass and exterior plastic grills and trim systems for the global automotive industry, as well as a manufacturer of fiberglass insulation products and a distributor of building materials. Prior to joining Guardian in 1988, Mr. Gerson was a partner in the Washington, D.C. law firm of Akin, Gump, Strauss, Hauer & Feld from 1985 to 1987. His practice was in the areas of international trade and finance, corporate, and legislative law. He was at the same firm from 1981 to 1983. 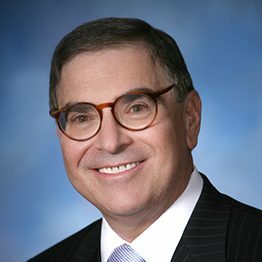 From 1983 to 1985, he was named Director of Commerce for the State of Michigan. He also served as Chairman of the Michigan Cabinet Council on Jobs and Economic Development. From 1977 to 1980, Mr. Gerson served as Counselor to Ambassador Robert S. Strauss in the office of the President’s Personal Representative to the Middle East Peace Negotiations, and Special Assistant in the Office of the U.S. Special Trade Representative. In those positions, he worked on the Autonomy Negotiations, which resulted from the Camp David Accords, and on the Multilateral Trade Negotiations, which resulted in the Trade Agreements Act of 1979. Mr. Gerson received his J.D. degree in 1975 from the University of Michigan Law School, where he was an associate editor of the Michigan Law Review. He also received a Master of Science degree from the London School of Economics in 1972, and graduated with honors from Yale University in 1971. At Yale, he majored in economics and political science and was elected President of the Yale Political Union. Mr. Gerson is a former Chairman and current Vice-Chairman of the Business Council for International Understanding (BCIU) in New York. He further serves as a Director of the William Davidson Institute at the University of Michigan, and a Board member of the US-ASEAN Business Council, the U.S.-Russia Business Council, and the US-Spain Council. He is a Trustee and Officer of The Henry Ford and the Detroit Symphony Orchestra, Inc. In addition, he serves as the Honorary Consul of Luxembourg in the State of Michigan.